A series of activities to explore the life, rocks and water on a beach, either rocky, sandy, or a mix. See animals and seaweed in their natural habitat. Choose activities appropriate to your beach. Look out at the sand and mud flats of a sandy beach. Weathering rocks and Sand/mud study to show how a sandy beach is made. 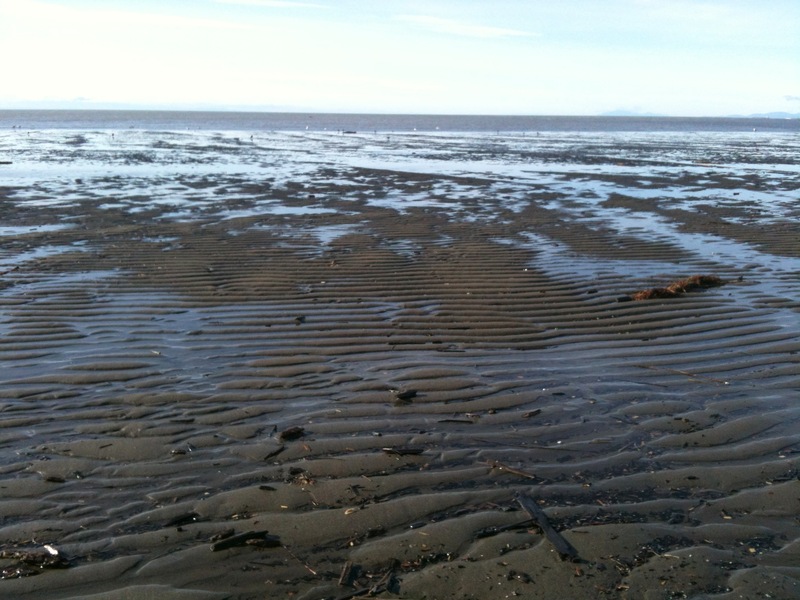 Ask students to look around the sandy beach for life for signs of life. Prompt discussion to find at least beach grasses, birds and clam shells. Collect clam shells and identify species. Dig for live clams if possible. Clam dissection. 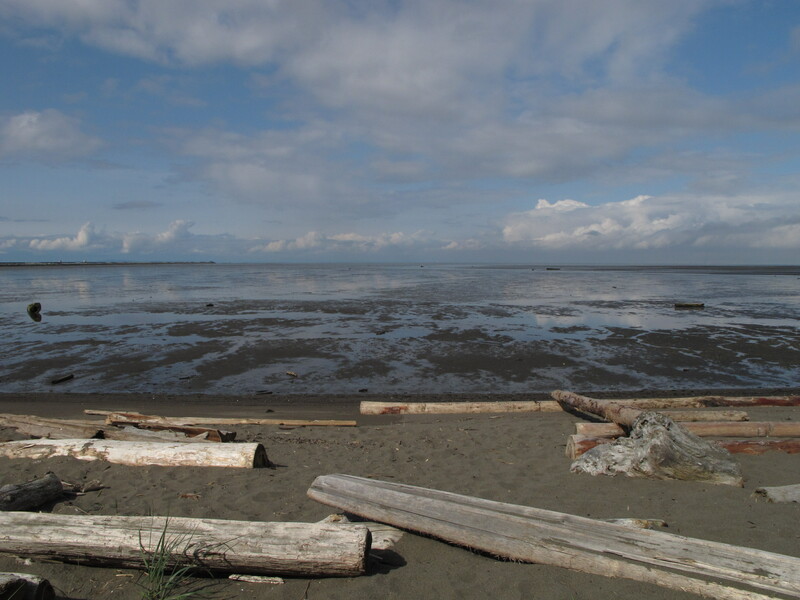 Discuss what animals eat the clams, and how a food chain of living things has adapted to the sand and mud beach environment. Look for birds on the mud flats. Sandy beach workbooks attached for Iona Beach. Rocky beaches are rich with life. Start with habitat survey for students to discover the wide array of living things. Follow with Seaweed study and/or watching barnacles feeding. Conduct this lesson at a beach with cliffs or overhangs that have been eroded by the waves. Weathering rocks activity to show how the waves break up rocks. Discuss how they are then carried down rivers to the ocean ("erosion"), where they are deposited in quiet bays to form a sandy beach ("deposition"). Sand/mud study to identify all the different rock colours in sand, followed by an exploration of beach rocks to find the same colours and identify the rocks. 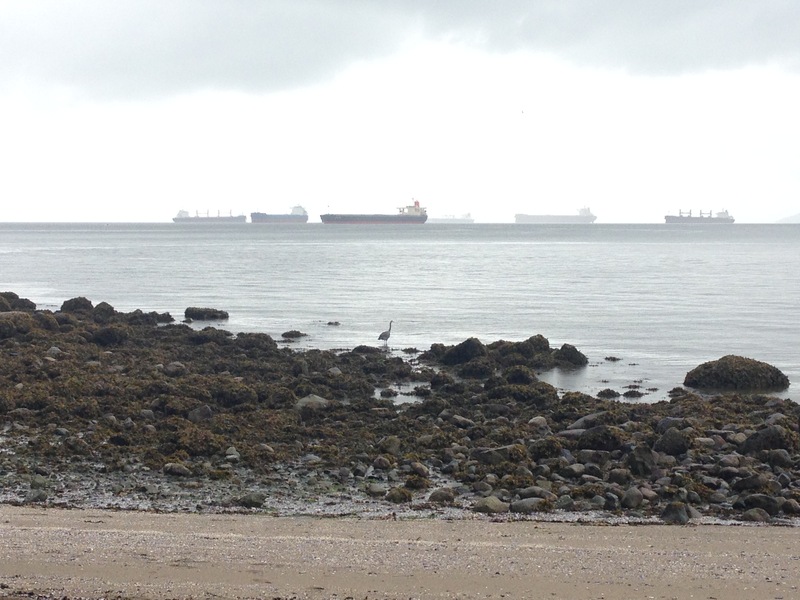 Vancouver beaches commonly have sandstone (a sedimentary rock), basalt (an igneous rock) and granite (igneous). Look in more detail at the minerals in granite. Look on the beach for smaller pieces of quartz - clear or yellowish and more shiny. Walk along the cliffs/overhanging rocks and discuss how they have been weathered by the waves. Identify high tide lines etc from the shape of the cliffs. Look for other weathering patterns in rocks e.g. rounded holes from a pebble rubbing against a larger rock. Students can be given a series of challenges (see attachment for an example), that encourages closer looks at beach life and rocks. Give students equipment as they need it (magnifiers, bowls or tubs, pH test kit). Start or end with a large group activity of Beach Life Bingo: bingo game with beach life, both living and washed up. Weir (at Jericho): Barnacles and Mussels, Seaweed Study, Baby Shells and Sand Study, followed by Beach Bingo. Sexsmith visited a Sandy Beach (Iona Beach) then a Rocky Beach (Whytecliff Park), comparing the two. Rock weathering, Sand/Mud study, Clam dissection at Sandy Beach. Habitat Survey and Seaweed study at (rainy) rocky beach. 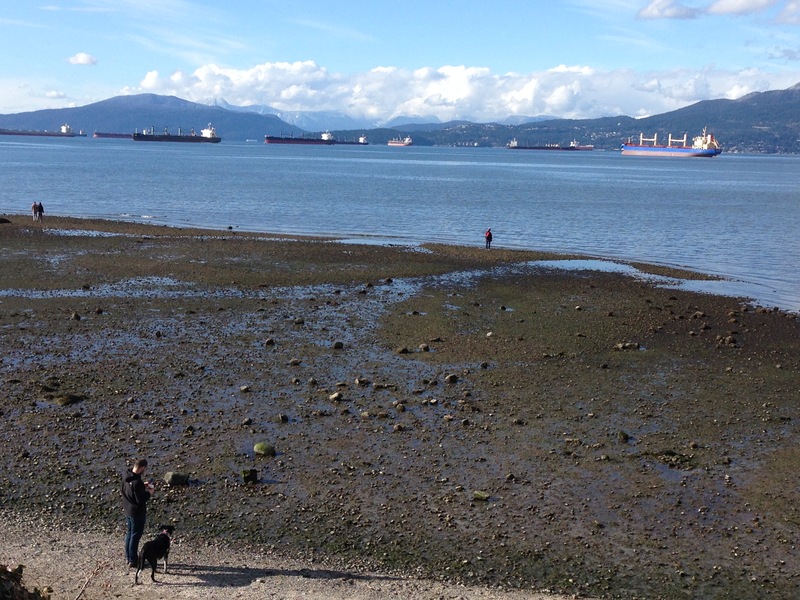 Simon Fraser (2nd Beach with Mari) grade 1/2 did seaweed study and sand study.